Having your daughter or your own sister graduate is probably the best feeling for her and you. 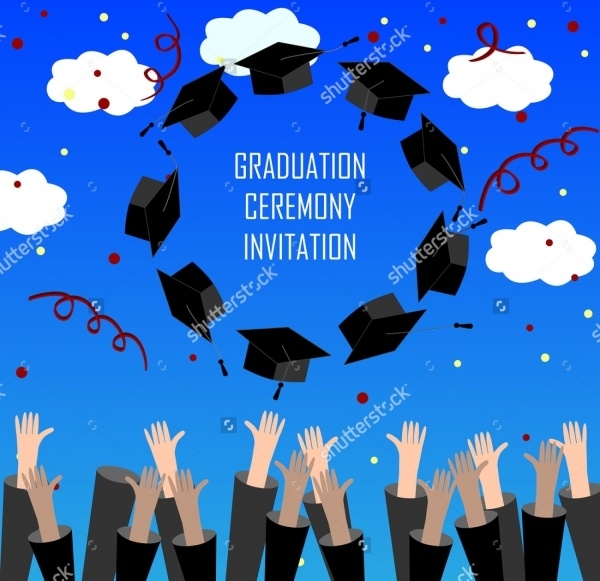 Celebrate with your family and friends and spread this good news by hosting a deserving party for her or him. 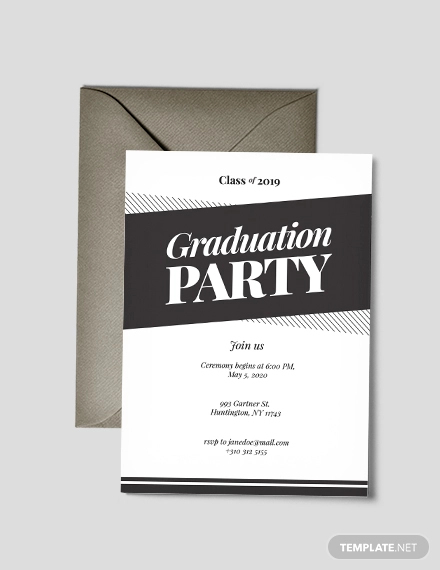 These templates given below can help you design your own graduation party invitation, which you can decorate and customize to your liking. 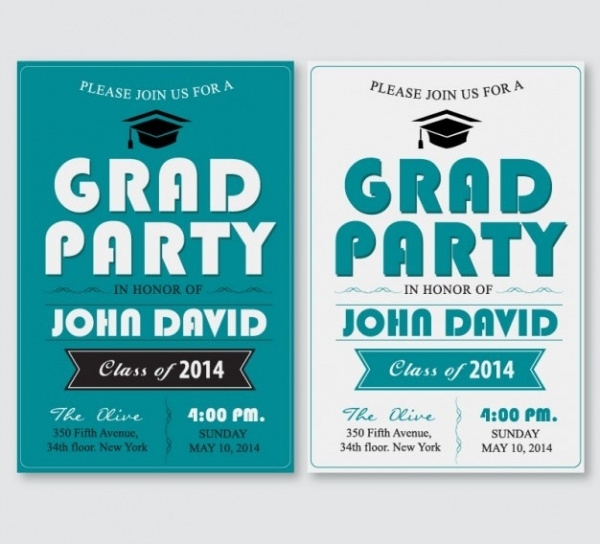 These templates can also be considered as a holiday party invitations or even club party invitations. Customize your own and personalize for the person who deserves it. You may also see Bachelorette Party Invitations Bachelorette Party Invitations. 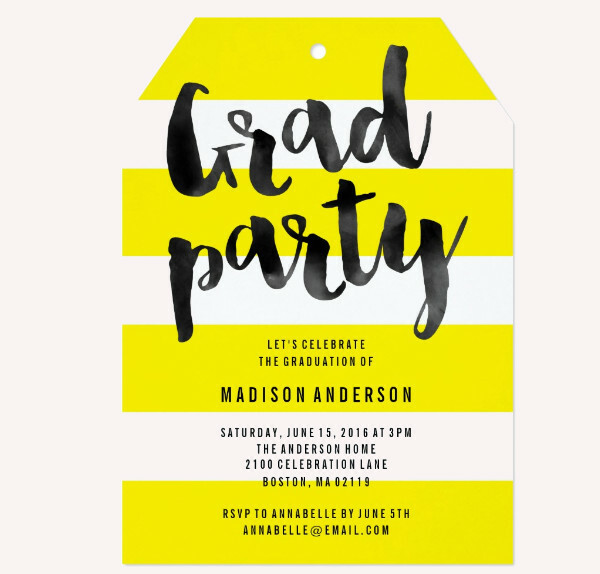 This simple yellow themed graduation party invitation template is elegant and simple, bringing out a cheer for the occasion. It can be easily edited as per your liking. You may also see Holiday Party Invitation Holiday Party Invitations. 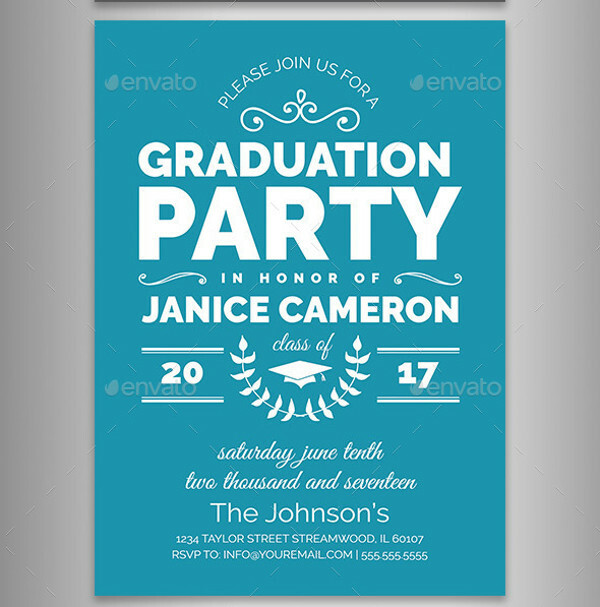 This blue and white colored themed graduation party invitation template is cute and attractive, with the use of big and bold fonts. You may also see Anniversary Invitation Cards. 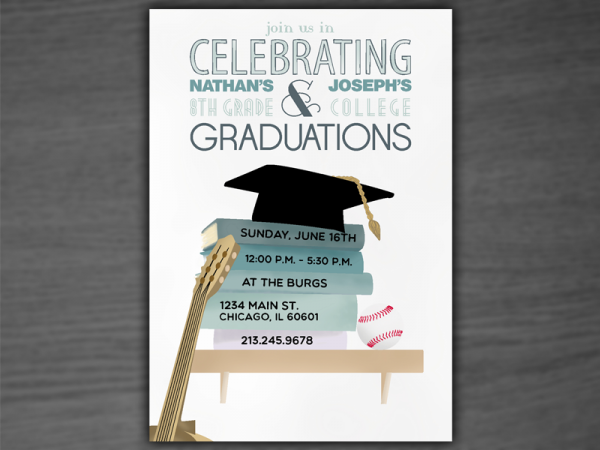 This graduation celebration poster is simple, with the old school design of graduation cap over the books. This is easy to edit and use. 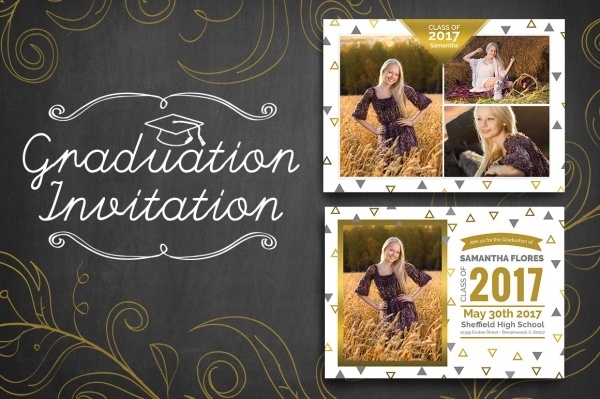 This graduation invitation template is available in many colors, and the photograph is not part of the template. It can be easily edited. 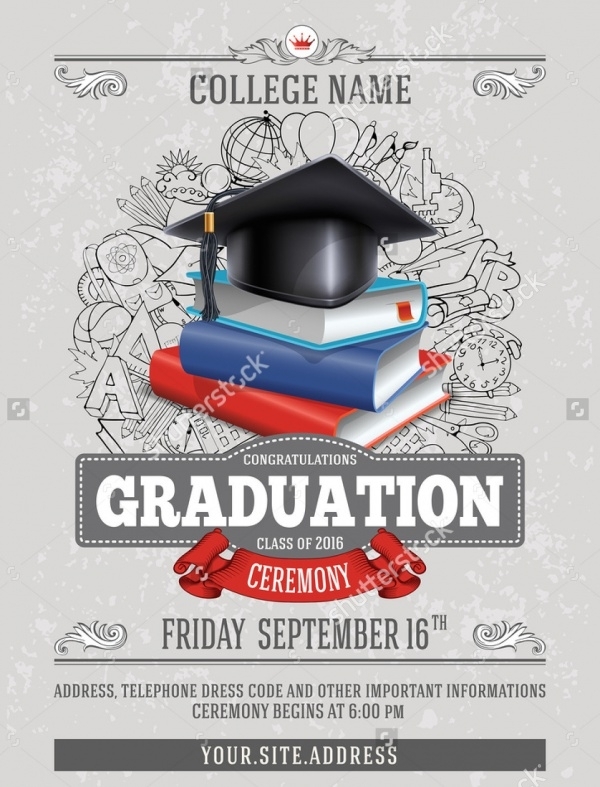 This simple graduation flyer template is dark and attractive, with space for a photograph on the side, giving it a stylish look. 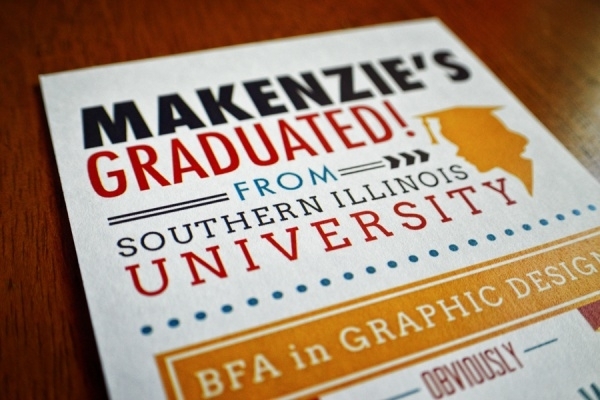 This template is available in PSD format, with each layer made separately, for easy editing. 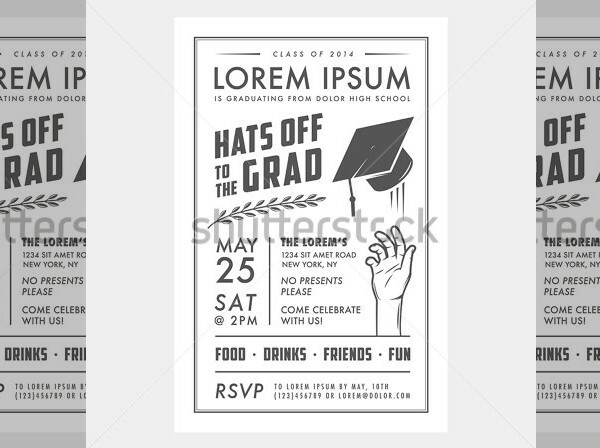 This black and white graduation template is simple and classy, giving it a vintage look. This template is available in high resolution and in varying sizes, to fit the needs of the company. 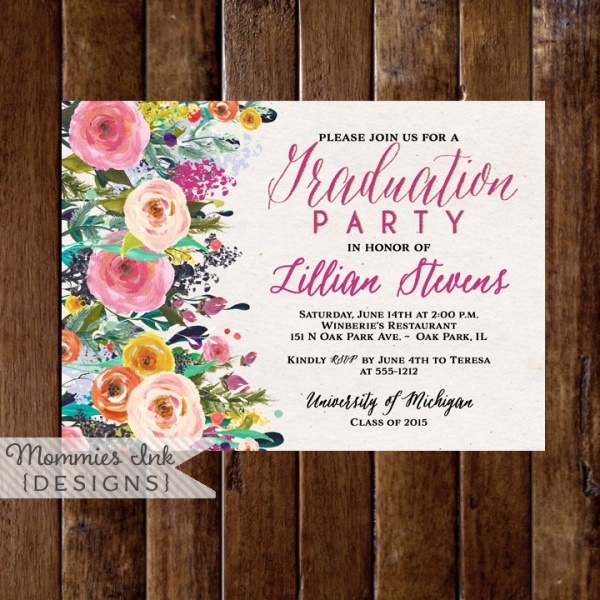 This fully layered floral template is available in two textures for use. 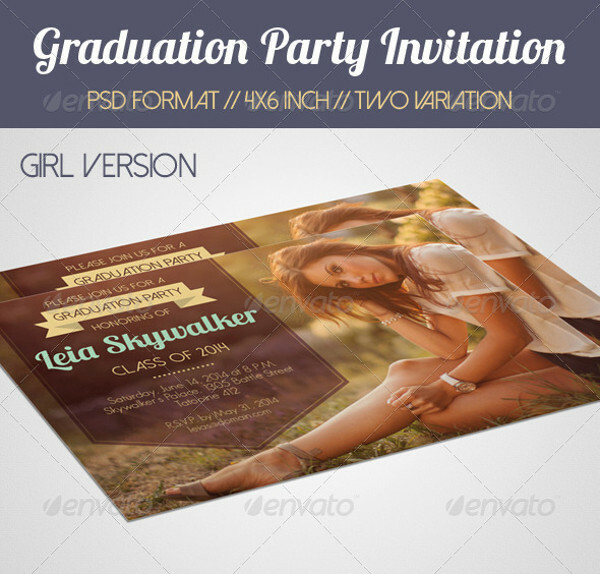 This template is also apt for wedding invitation templates. 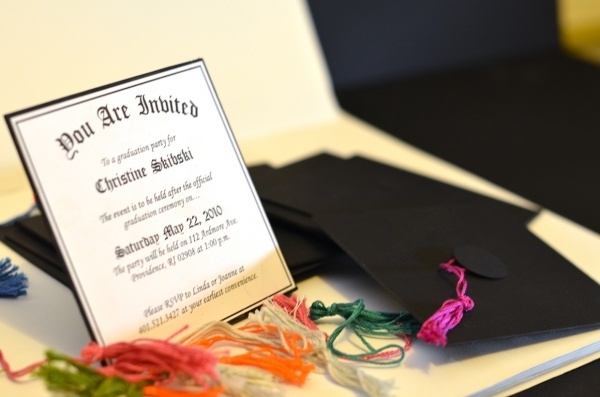 This chalkboard graduation party invitation is cute and simple, which can be easily edited. The fonts too can be easily edited. 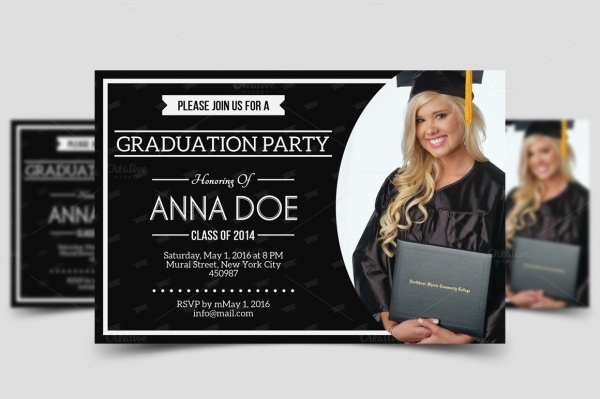 This graduation template is realistic, perfect for any graduation party invitation. It is available in high resolution. 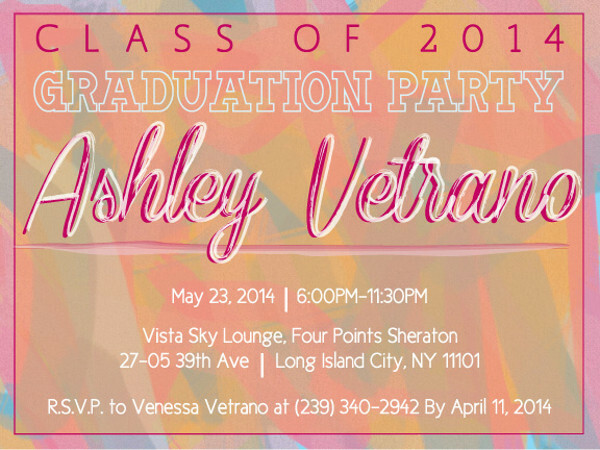 This top of the class graduation party invitation templates are cute and colorful, available in two color variations. This PSD file is made in black and white, giving it a vintage look. This can be easily edited. 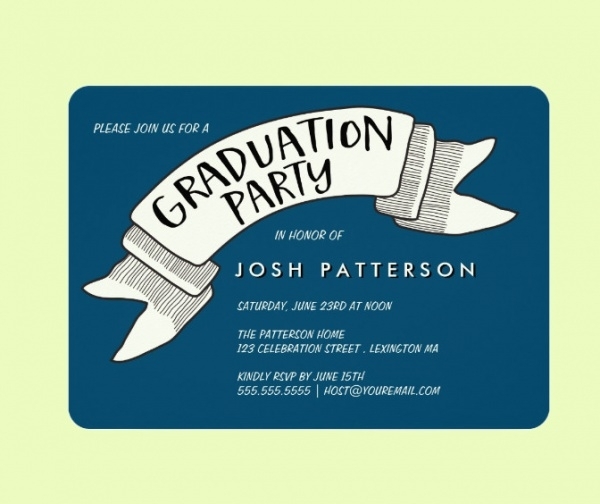 This festive graduation party invitation is colorful, with cartoon depictions of hands being thrown. 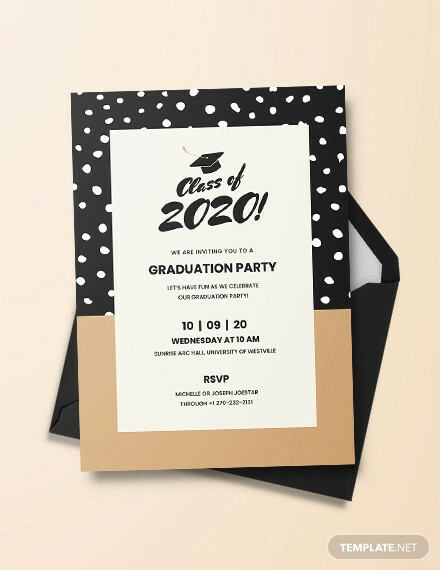 This creative graduation party invitation is available in a grunge background and in a clean background, in three fabric colors. There are six different backgrounds, which can be easily edited as per the liking of the user. 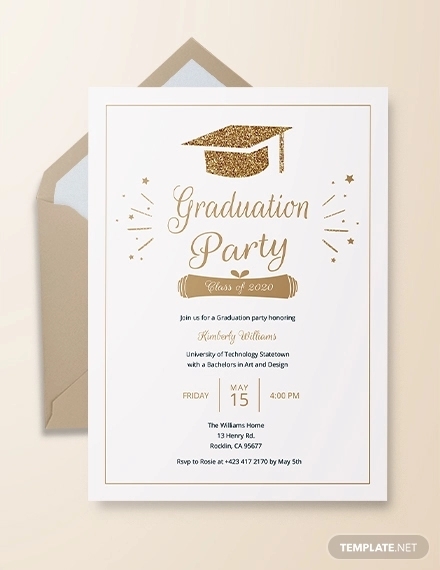 This elegant graduation party invitation template is classy, and can also be used as a template for wedding invitation cards. 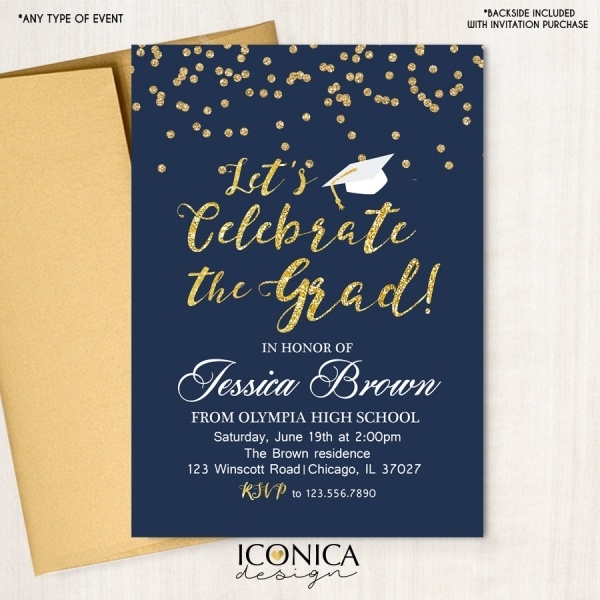 This cute and classy gold graduation card is available in navy blue, with golden writing in curly fonts, to complement it. 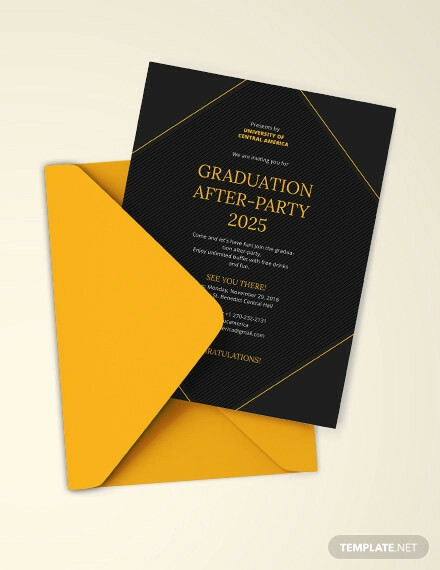 The graduation invitation card doesn’t actually contain golden glitter or foil. 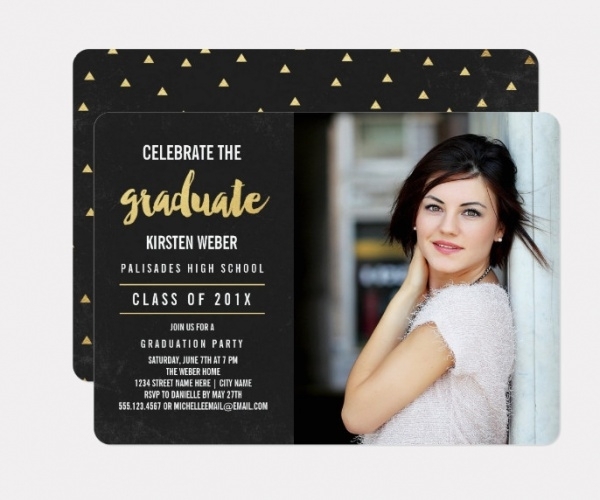 Host the best graduation party in the area and invite them using these super cool customizable graduation templates. 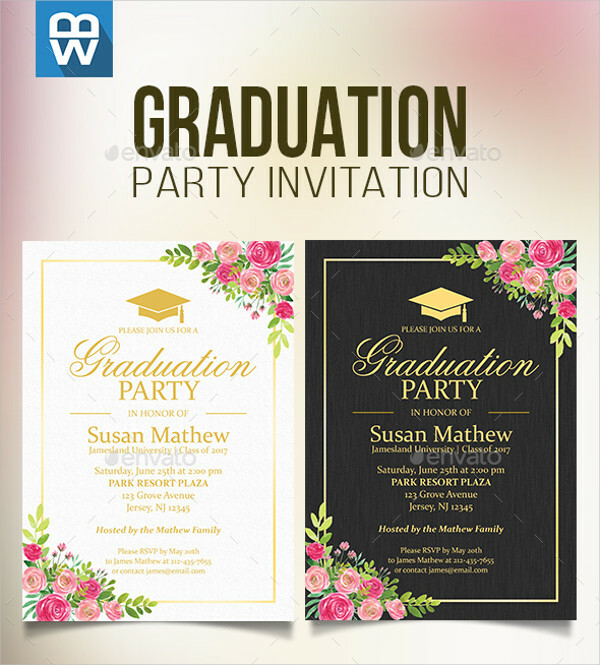 These templates are easy to use and edit, whether it is a wedding party or even surprise party invitations. These templates are easy to edit and use. 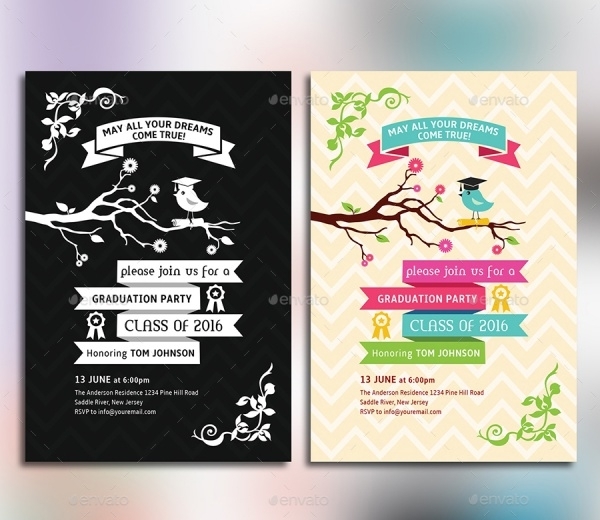 These modern templates can also be used for school and college flyers, for convocation parties and much more!